Sorry about last week’s lack of a report, but I left on a business trip after the match and only got home late Tuesday Night (I’ll try and do a retrospective one later on this week) but now back to last night’s match. We welcomed Newlands 3 to DLWE and first on was Richard (Cantlay) at No.4 against Brendan Forrester. I had a tough match v Brendan in the 1st half so I was wondering a) why he was playing at No.4 and b) how quickly he would chop Rich! Well after losing the 1st game Rich asked me for words of wisdom to help him win. “Get a time machine and practice a lot more 10 years ago!” was the crux of what I said, although I did sugar coat it a bit. Nick Matthew won the 2014 British Closed Championships this weekend in Manchester to secure his 6th title. He beat an inform James Wilstrop 3-1 in a tough 78 minute match. James joked that he was 800-1 down in the series against Nick and although it’s not 800 it has been 7 years since James beat Nick in a PSA tour match (in 2007). Schools’ week is always a tough time to get 4 teams out and with so many away we only had 4 players in the 4th team. That is until I bumped into a player I’d not seen in a year and a half and asked him if he fancied a game at No.5 for the 4th team! Some of you might remember ex-junior internationalist (and Scotland Masters’ player) Kevin Mackay; well his old man (Angus) said he’d help us out, and as luck would have it he was just back on court today after a long injury. I think the fact that he was playing one of the Glasgow Uni girls helped! SSRC tonight and we had a torrid time of it in the 1st half against them, as we got only 3 points – so 3 to beat! I went on next against Brian Robertson at No.2 and shortly after Doug (Macmillan) went on the other court against Rory Stewart (just passing through Glasgow on his way back to Crieff!). “Laurens Jan Anjema will become the new global ambassador of Harrow after signing a three year deal with the fast growing squash brand based in the United States. 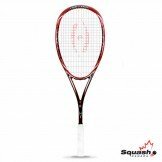 The thirty-one year old from The Hague used his new racket, the Harrow Stealth, for the first time last weekend during the Dutch Squash Championships 2014 in Amsterdam, in which he justified his seeding by winning his ninth consecutive national squash title by beating fellow Harrow player Piedro Schweertman in four games in the final. “I am very excited to be part of the Harrow team”, said the world number sixteen. 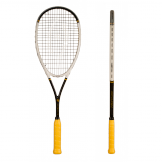 “The first time I put the Harrow Stealth in my hands, I immediately had a great feeling. 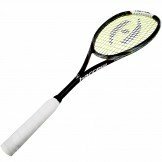 Good equipment is crucial for any professional athlete and it feels awesome to know that I don’t have to worry about this for the next couple of years”, added the Dutch ace. Once again Manchester National Squash Center hosts the 2014 National Championships this week. 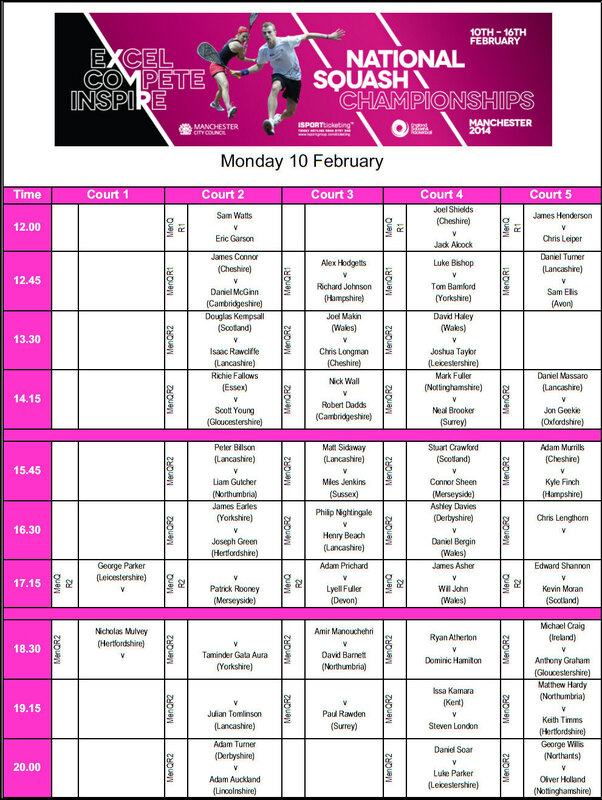 This includes not just the main Draw, but also the Masters National Championships from over 35 to over 75 and includes some familiar names in all the tournaments! End of Squash Season Party Anyone? 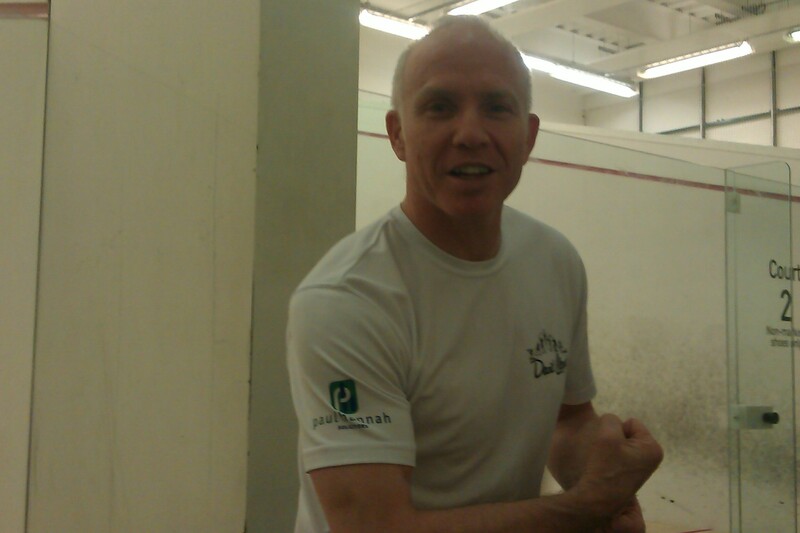 Food4africa UK is the charity that’s raising funds to build a squash court in rural South Africa with squash legends, so why not come and support. When I arrived Big Dave (Craig) was making his way onto court against Derek Manson at No.3 (due to stuffing Sean in a mini-league last week). However this looked like a position too far as he got cuffed in the 1st game and well beaten in the 2nd. The main problem was that Derek was all over Dave’s cross courts and controlling the match. The 3rd was much the same and at 9-3 down it was surely only a matter of time for Dave. “A good one to win!” was the best we could think of to say as it became 10-5 match ball. But hang on Dave got the next point, and the next, and the next! And a few rallies later it was a tie break and then it was game to DLWE!